NEW YORK Newell Rubbermaid (NWL) plans to cut more than 1,900 jobs, or about 10 percent of its worldwide workforce, over the next two and a half years. The consumer products company, known for Sharpie pens and its namesake containers, said Friday that all savings from the job cuts will be reinvested into growing its brands globally and adding new sales capabilities in emerging markets. Newell Rubbermaid also said that its business will be restructured under two groups, a development organization and a delivery organization. The announcement came as the Atlanta-based company reported third-quarter adjusted results that topped Wall Street's expectations. Newell Rubbermaid also raised its quarterly dividend by 50 percent to 15 cents per share. Its shares climbed 87 cents, or 4.3 percent, to $20.97 in morning trading after rising earlier as high as $21.23 earlier in the session. That was its highest level in more than four years, according to FactSet. 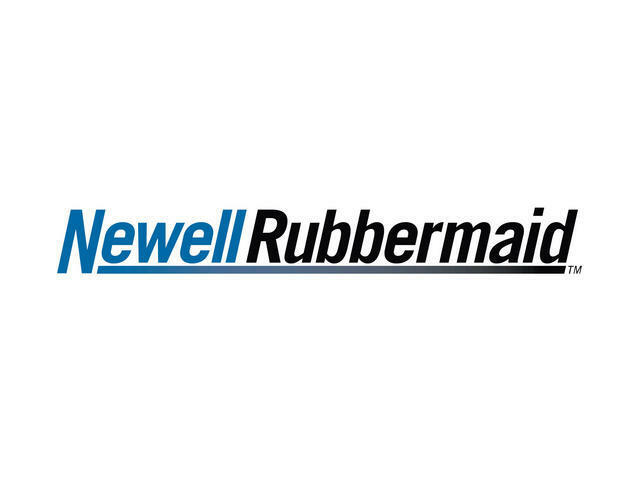 Newell Rubbermaid Inc. said development organization will include segments such as tools, commercial products, writing, baby and parenting, home solutions and specialty. These six segments are down from the company's previous nine. The group will also house Newell Rubbermaid Inc.'s marketing, design, insight, research and development and corporate development staff. Mark Tarchetti, previously head of global corporate strategy at Unilever, will lead the development organization. He will join Newell Rubbermaid in January and serve as chief development officer. The delivery organization will include the company's general management, supply chain, customer and channel development employees. William A. Burke III, who currently serves as group president, will head the delivery organization and become chief operating officer. As part of the restructuring, Newell Rubbermaid said that it is getting rid of its consumer and professional operating groups. The company also announced some executive departures, including Penny McIntyre, who served as president of Newell Consumer; Chief Marketing Officer Ted Woehrle and Chief Customer Development Officer Paul Boitmann. In some executive appointments, Newell Rubbermaid named Joe Cavaliere as global chief customer officer and appointed Richard Davies as chief marketing and insights officer. It also named Chuck Jones as chief design and research and development officer. Newell Rubbermaid said that it will name a global chief supply chain officer in the coming weeks. The company is also expanding its restructuring program, called Project Renewal. The expanded program is anticipated to save about $180 million to $225 million on an annual basis once fully implemented by the end of 2015's second quarter. Newell Rubbermaid foresees restructuring charges between $250 million and $275 million during the same period. The Atlanta company, which was founded in 1903, currently has 19,900 employees, according to its website. In its earnings report, the company said it earned $108.3 million, or 37 cents per share, in the three months ended Sept. 30. That compares with a loss of $177.6 million, or 61 cents per share, a year earlier. The current quarter was free on impairment charges, while the prior-year period included a charge of $382.6 million. Removing restructuring charges and other items, earnings were 47 cents per share. Analysts polled by FactSet expected 44 cents per share. Revenue edged down to $1.54 billion from $1.55 billion. Wall Street forecast $1.55 billion. Core sales, which take out the unfavorable impact of foreign currency translation, rose 1.5 percent thanks to ongoing emerging markets growth and strong sales in its baby and parenting and Newell professional segments. Gross margin improved on higher prices and better productivity, which offset escalating costs. Newell Rubbermaid still expects full-year earnings of $1.63 to $1.69 per share, with core sales up 2 percent to 3 percent. Analysts predict earnings of $1.68 per share.